2019 will celebrate the sixth annual SoundSport Atlanta competition inside the brand new Mercedes-Benz Stadium for the second year in a row, as part of the DCI Southeastern Championship on Saturday, July 27th. The event will feature the performances of more than two dozen drum corps along with SoundSport teams at the state-of-the-art facility. Officially opened late in the summer of 2017, $1.6 billion venue was built in the shadow of the Georgia Dome, which for more than a decade hosted the annual regional championship event. IMPACT of Orlando performing in Mercedes-Benz Stadium in 2018. Each SoundSport ensemble consists of 5 or more members of any age and any instrumentation. Their musical performance is between five and seven minutes staged on a 30 yd by 20 yd performance area. In addition to a magnificent performance opportunity, each participant has the opportunity to reserve specially-discounted tickets to the DCI Southeastern Championships to watch the talented schedule of Drum and Bugle Corps. Registration for all U.S.-based SoundSport events is currently open. All interested participants should register online or contact soundsport@dci.org for more information. Apply for 2019 SoundSport Membership today! 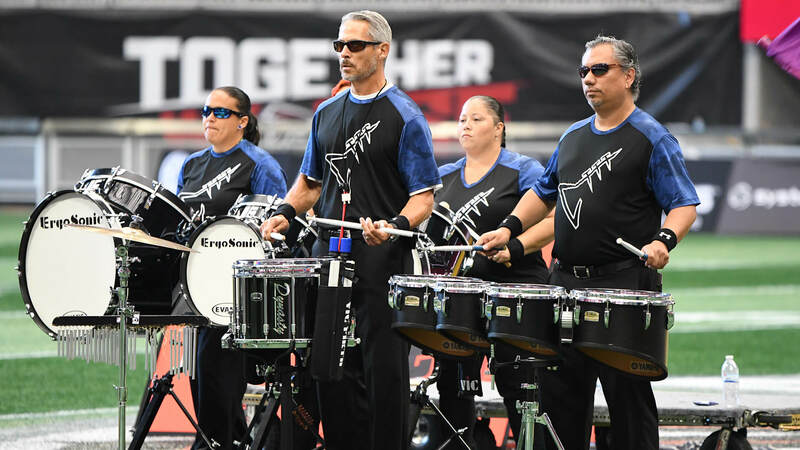 Spectator admission to all US SoundSport competitions is included with the purchase of a ticket to that day’s Drum Corps International Tour Event. For ticket pricing and information, please visit the DCI Southeastern Championship event page on DCI.org.